Alex J. Delgado earned his dental degree in 2001 from Universidad Santa MarÃ­a, Venezuela. In May 2014, he earned a MSD degree and his Certificate in Operative Dentistry, from University of North Carolina. 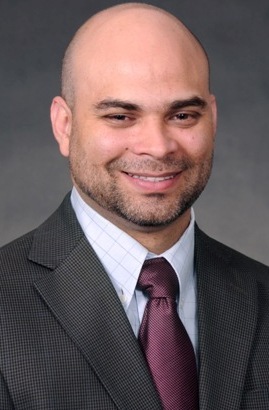 From 2001 through 2014, Dr. Delgado worked in clinical settings in Venezuela and North Carolina, and was also teaching at UNC while he was completing his residency. Dr. Delgado, joined the University of Florida in 2014, as a Clinical Assistant Professor in the Division of Operative Dentistry of the Department of Restorative Dental Sciences. Dr. Delgado is a member of several professional organizations including the American Dental Association, the Academy of Operative Dentistry, and the International Association for Dental Research and NDBPRN. He served as manuscript reviewer for 3 scientific journals. Dr. Delgado is involved in patient care devoted to restorative dentistry. He is actively maintained in research, particularly in the area of dental erosion, biomaterials and educational research. 1) Inhibition of Polymerization of Contemporary Polyvinyl Siloxane Impression Materials by Latex-Free Products. Amaya-Pajares SP, Delgado AJ, Donovan TE. FORUM: 2014; 2: 12-17 2) Effect of Finishing Techniques on the Marginal Integrity of Composite and Resin-modified Glass Ionomer. 3) Delgado AJ, Ritter AV, Donovan TE, Ziemiecki T, Heymann HO. (in press JERD) pH and potential erosion of commercial oral moisturizers. 4) Delgado AJ, Olafsson VG, Donovan TE (in press JOP) Cross-sectional visualization of microcracks in resin-based materials by Optical Coherence Tomography. 5) Vasconcellos AB, Delgado AJ, Ritter AV, Oldenburg AL, Heymann HO, Blackmon R. (accepted for AIDR 2015) Survival rate of lithium disilicate restorations at 4 years: A retrospective study. 6) Suleiman T, Delgado AJ, Donovan TE (submitted to JPD) Variation of Caries Simulated Dentiform Teeth in Operative Preclinical. 7) Delgado AJ, Walter R, Boushell LW. (submitted to the JDE) Laboratory Communication in Fixed Prosthodontics.